SAP Learning Hub brings the power and convenience of the Cloud to SAP Learning. With the SAP Learning Hub, you’ll find all the SAP training you’ll need is in one place – whenever and wherever you need it. And you’ll have access to a vast selection of learning content and our innovative new learning rooms. You can purchase a subscription to the SAP Learning Hub on your own, or your organization can provide subscriptions for up to thousands of users. Either way, you’ll have immediate access to the most effective, up-to-date, and cost-effective SAP learning available anywhere. 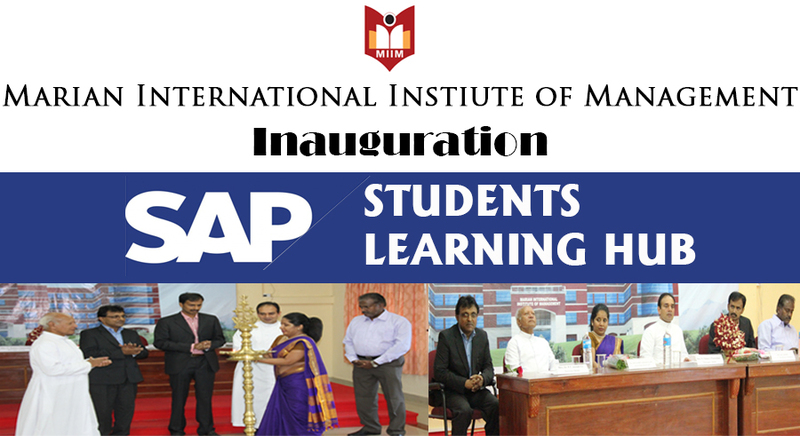 MIIM has signed an agreement with 'SAP Learning Hub ' and has become an Institutional member. Once an Institution becomes a member, any student of that Institution can get a login id to SAP's website and do any of the more than 200 courses available. The cost of registering is only Rs.9500 for one year per student. These are online courses where videos, e-books and online faculty help are available. Once a student completes a module, SAP will issue a course completion certificate. Students may do as many courses of their interest as they want. These certificates can be used for employment in companies which are running SAP. Students in BBA, BCA, BCom, MCA, MCom, MMH, etc. may find it very useful for employment.